Disregard the self-righteousness, but two domains I find more important than frivolous politics and the Kardashians: health and the environment. In an age of diabetes, climate change, and dwindling resources... how can we simultaneously protect the environment and maintain ideal health? Well... (open minds only) let me fastidiously introduce... Exo Protein and the cricket bar. If a counterintuitive edible food appeased our palates, safeguarded our resources, and nourished our cells... would you discriminate or participate? Before you dismiss the proposal, hear me out. From a health perspective: crickets are a complete protein source, contain all essential omega-3's, and have 2.2 x more iron than spinach. From an environmental perspective: crickets produce 100x less greenhouse gasses than cows, only use one gallon of water per production pound (cows consume 2000 gallons/pound), and crickets reproduction time is minimal. From a savor perspective, Exo protein only uses real ingredients (paleo friendly options), offers five enticing yet simple flavors , and the creator is a world class chef. So... what's not to like? Other than the aforementioned benefits; I find these bars ideal for travel, surprisingly satiating, and fairly priced. Give it a try! Nothing to lose and all to gain (enhanced health, environmental stewardship, and most importantly... a new way of thinking. If asked "Which book has most impacted your life?". Without hesitation, Seneca's Letters rolls off my tongue. This collection of wisdom introduces Stoic philosophy and it's real world applicable strategies and teachings. Let me clarify, Stoicism is not a useless 'What is' philosophy, but rather a no nonsense template, offering practical and tactical advice. Think of Stoicism as a universal rule book for good decision making. Tim Ferris (favorite podcast) summarizes the art as "the ideal operating system for thriving in stressful environments". Exposure to this book would have tremendously benefited my twenty something self (normally, I would dwell on this regret, but Stoicism 101 addresses and dismisses this flawed thinking), but... better late than never. The Letter's themes acknowledge the allure of simplicity, controlled emotions, friendship, accepting death, groundless fears, virtuous and courageous actions, rebuking wealth and superfluous materials, practicing poverty, and managing life's setbacks. High level athletes (New England Patriots), world leaders (Bill Clinton), and historical figures (Thomas Jefferson) both utilize(d) and preach(ed) Stoic principles. I would be doing a disservice advocating only one 'must read' letter, but Letters 13, 18, 27, and 49 will leave you speechless, motionless, and yearning for more. His timeless, pithy, easy to read wisdom consoles all who seek navigating this experiment we call 'life'. You will thank yourself for purchasing this book, setting aside five minutes daily, and exploring the highly therapeutic wisdom. As Seneca would state "Take Care". No doubt about it, my biggest fears in life are not taking risks, accumulating "what if's", and reflecting regretfully on my deathbed- knowing I had more to give. It is a morbid, yet sobering thought. To quote a sage Washington Mutual executive, "I wish at 20 I knew I would be 30 in a month. And I wish I knew at 30, I would be 40 in two weeks". Wow- he ain't lying. Disregard the cliché philosophical maxims, but life is short and seems to only exponentially accelerate. Be the hero of your story- be the nicest f'ing human being possible- discover yourself- seek a life of service. These aphorisms, although necessary, can be daunting. I get it- we need to live more effectively, but how? Well, not to burst any bubbles and beat a dead horse with the adages, but how do you eat an elephant?- one bite at a time (see what I did there?). A meaningful life is simply a collection of meaningful days. Meaningful days comprise of a dedicated purpose, thrilling passions, and valued principles. Yes, I have heard this before- get to the point! Point is, despite the overwhelming advice a). don't be too hard on yourself and b). 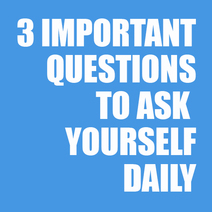 answer these three questions daily. Question 1: What did I do today to help someone? One word- "service". That is a simple as it gets- life is about taking your eyes off yourself and helping others. A selfish bonus- there is no greater reward than positively affecting another's day. That feeling alone overflows the brain with happy endorphins. Question 2: What did I do today that scared me? Challenges, risks, and breaking comfort zone barriers are the only route to true growth. Constantly strive to better yourself physically, mentally, emotionally, intuitively, and spiritually. Question 3: What did I do today that makes me proud? This can be anything- practiced an instrument, told my family I loved them, repaired the sink, did a backflip, etc... We have to give ourselves small victories- no matter how insignificant they may seem. Any chance to move the dial in a positive direction is a win. I could write about this topic for decades, but I'm not even sure anyone is still here to read this- so... I'll check the three question boxes and call it a night. People are brilliant. Innovation is very much alive and continues to astonish us on a daily basis. When we think we have seen it all... E! News is still popular (unbelievable). Kidding, but the saying, "What will they think of next?" is more relevant today than ever. With growing nano and biotechnologies... what will it look like in thirty years? Will we be prepared? Humans are adaptable creatures, and so far... all is well. However, not everything is all water parks on Mars and Back to the Future hover boards- we still live in a chaotic and unpredictable world... this is an undeniable fact.. Yes, we face insurmountable problems (over-population, educational conundrums, and the gum-smacking, pen-clicking, close talking co-worker, who breathes satan breath so potent... it melts your skin). Despite our differences, we are all in agreement over certain universal needs: clean air, clean water, and an abundance of food (along with many others- but this list will suffice for now). Regarding the aforementioned thirty years scenario- it won't be pretty unless we protect what we, as a human species, are completely dependent upon... nature. Yeah, we know, we have been hearing this for years... what is your point? Point is, there are people who do more than worry and fret over the issues... they act.. Ecosia has acted. Ecosia is a a search engine with a goal to plant a billion trees in the Brazil rainforest. Yes, a billion with a "b". Eighty percent of the company's surplus is donated to a Brazil tree planting program. As we know, rainforests are irreplaceable and unparalleled CO2 sequesters and water purifiers. Recently, their efforts resulted in one million planted trees, and accelerating. Tip of the hat, Ecosia... next round is on us. Spread the word- help Ecosia become a verb.. It's simple- set Ecosia as your default search engine and continue your daily searches. The more searches- the more trees. The more trees... well, your grandkids will thank you.. As the saying goes, "Do well by doing good". We are all in this together. Coal Ash: Where are the regulations? In today's energy demanding and intensive planet, U.S electricity derived from coal accounts for roughly 39%. Quick background on coal- Pro: easiest, cheapest, extremely reliable, and abundant source. Con: dirtiest (contributes to GHG emissions, acid rain, polluted water sources), mountain top removal, and unsafe working environments. With advancing technology, increased global consciousness, continual plant shutdowns, and affordable natural gas and renewable options- the demise of King Coal could be looming. A coal fired power plant works much like that of a nuclear station: 1). Heat is created and coal is burned, 2). Water turns to steam, 3). Steam turns the turbine, 4). Steam turns back into water, 5). Electricity and waste (coal ash) are produced. This waste is then sent to landfills, ponds, or mines. 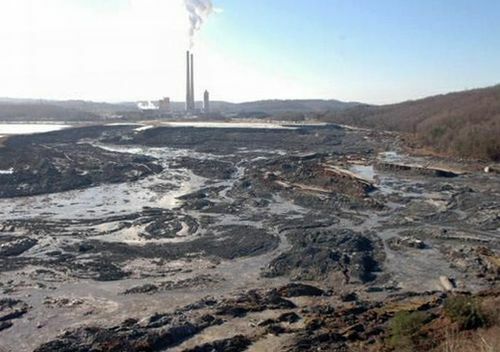 Roughly 140 million tons of coal ash is generated annually. To put this into perspective- this is enough to fill train cars stretching from the north to south pole. This waste is comprised of arsenic, lead, mercury, chromium, and other radioactive toxins. One of the worst environmental disasters occurred on December 22, 2008. A Tennessee coal pond dike failed- releasing 5.4 million yards of coal ash into a community. The sludge cascaded into rivers and smothered over 300 acres of land (aerial video), and accumulated a tab around $1.2 billion. Considering the staggering economic and environmental costs, coal ash must be highly regulated, correct? Actually... no. Nothing exists. This has been discussed for years, but typical politics... disagreements and lawyers are delaying any decision. DRIVES.ME.CRAZY. Recently, a spill at Dan River in North Carolina has resulted in an outrage. Another episode? After people were reassured on the responsible disposal? I would be a madman. Encouraging news, on December 19, the EPA is set to announce first-ever potential regulation plans. Fingers crossed. Starting with a simple ecosia search, I found DFW Solar Electric. The first step required a submittal of basic information (electric bill range, number of floors, energy provider, sun/roof affinity, etc...). Within a twenty minutes, I received a call verifying my information and scheduling a consultative visit. A day later, a consultant rang the doorbell with a prepared four page cost-benefit analysis and a smile. It is amazing what we can do with data these days. I am a renewable energy believer, and decided to research the holistic impact of solar panels. I am based in Texas (predominately a fossil fuel burning state), and was curious how implementing solar would change my environmental footprint, economical position, and neighborhood image. What is it about New York City? The inconvenient conveniences? The relentless and resilient energy? The West Village? The historic Yankee pinstripes? Regardless of your chosen NYC fascination... this city is the center of the world, and arguably the world's most important. Thousands of people, industries, ideas, leaders, and ways of thinking amalgamate into an irreplaceable conglomerate... the Big Apple. Imagining this city any other way is an arduous task. In fact, how did this place look before ambitious people from anywhere and everywhere, made it their playground? In a TED talk, Eric Sanderson had the same question. With an 18th century map, Geographic Information System (GIS) software, and sufficient data, he converted the Metropolis to Henry Hudson's first 1609 view. During his research, he found a map of Manhattan circa Revolutionary War, and was interested in the ecological findings. Discovering marshes, streams, and beaches, he wanted to orientate himself and plot exactly where they would exist in modern day Manhattan. He calculated slopes, examined elevation, and measured wind patterns. Equipped with the technology to map bedrock geology, soil formations, and water bodies, he discovered 55 different ecosystems supporting extraordinary biodiversity. This is greater per acre than Yosemite and Yellowstone parks. Turns out-Time Square was once a wetland, Gramercy Park was a swamp, and Native Americans and black bears were prevalent. Taking any view (window, rooftop, etc...), Sanderson can replicate (using GIS) exactly what species, fauna, animal, or tribe existed in that specific area. It is hard to imagine Manhattan as a biodiversity hotspot. Well... I guess... technically it is. The interconnectedness and resilience that made it unique back then, is the same interconnectedness and resilience that makes it the greatest city today. Combining science, technology, and visualization, GIS can be an impetus for innovation. Click here to watch this TED talk. Google is being Google again... are we surprised? To date, their unrivaled innovation includes: driverless transportation, artificial intelligence experiments, and floating data centers. For those unaware, a data center is a facility used to house computer systems, various components, back-up power supplies, environmental controls, and security devices. Due to the exponential boom of data, these centers account for approximately 2% of total domestic energy usage. This increased energy usage means higher costs and greater emissions. A push to green-up data centers has caught fire, and biomimicry always seems to be the answer. Google has taken a sustainable leap, and is building a 4 story data center in the San Francisco Bay. Couple things: when operating and maintaining a data center, regularly cooling of the equipment and an uninterrupted power supply are mandatory. So google thought outside the box (again) and is utilizing renewable energy (powered by the ocean) to cool and power the center. The ocean water cools the equipment, while moon's gravity provides consistent power. Unlike other data centers, deconstruction is not required. When the center is needed elsewhere, move the ship.... simple. This project justifies the north of $500 stock prices. It is encouraging and inspiring to witness a company lead the way to future innovation. Good on you Google. Is there anything better than a gut-wrenching laugh? A visceral, time-stopping, and therapeutic laugh is unparalleled and contagious. 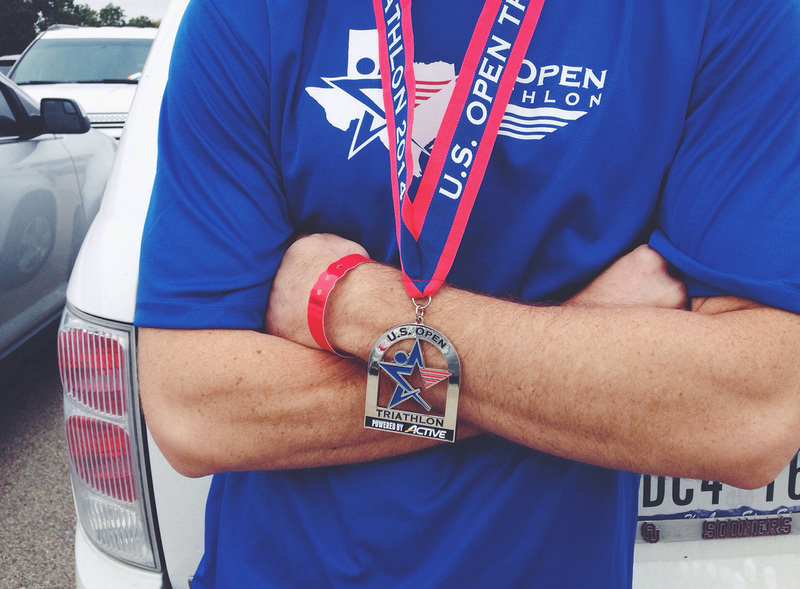 Not only does it change your mood and physiology, but impacts others as well. They say a good laugh and a full night sleep can fix any problem. If you have six plus minutes to spare... this is a game changer.